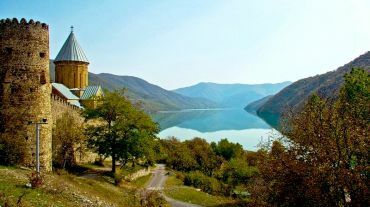 Ananuri Fortress — all information. 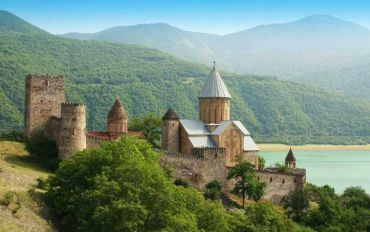 Ananuri Fortress, Tbilisi: photos, description, on the map. 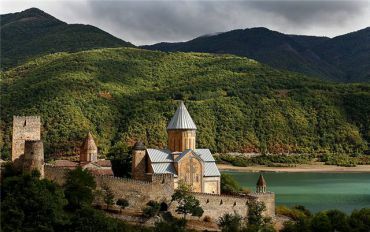 Within an hour`s drive from Tbilisi, near the town of Zhinvali where connected Vedzathevi and Aragvi, towering fortress Ananuri. At the fortress it is one of two unique churches in Georgia. Assumption church was erected in 1689 in a classic style with domes. Its western side is decorated with carved crosses and grapes. 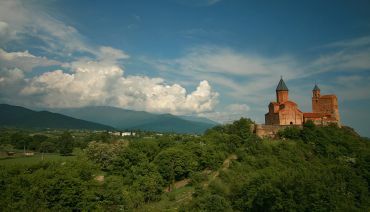 The castle was built in stages, the first tower was built in the 13th century. In the 17th century the castle served as a defensive building for the owners of the land - eristavis. 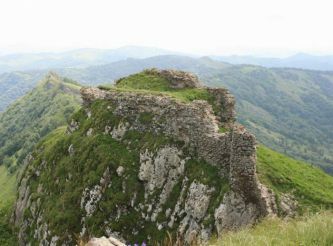 The natural fortress served as a gate gorge through which wound a narrow path. When Georgia joined Russia, the Russian garrison outpost occupied. He guarded the main road between the two powers. In 1812, the mountaineers tried to storm the fortress but were defeated. 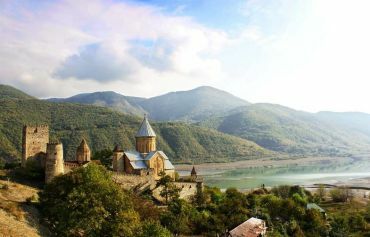 Later, about Ananuri planned to build a military camp, but it was not to be fulfilled. When the Russian army has been withdrawn, the fortress began to collapse. And today, recalling the past greatness of the defense of the castle, extant tower with a roof in the form of a pyramid, the perimeter walls and three temples. In the days of the former glory of the castle built supplemented below the towers and walls, unfortunately, not extant. 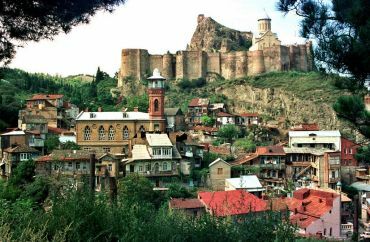 Tbilisi can be reached by any bus traveling to Gudauri, Pasanauri or Stepantsminda. Another fairly common way to travel is hitchhiking on Georgia. 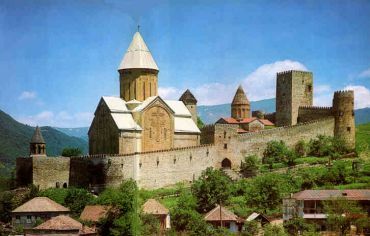 The fortress is situated so that any route for Georgia runs past it.